1. Christians celebrate the birth of Jesus on Christmas. 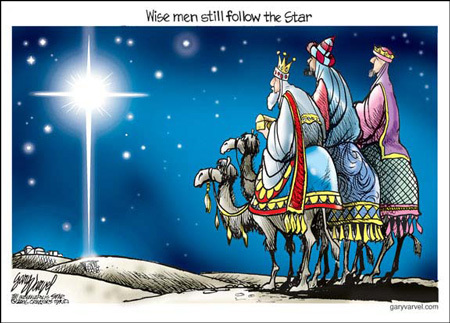 The narrative of wise men following a star originates from the Bible, in the account of Jesus’ birth. a) Where were the wise men from? b) Who did the wise men say Jesus is? c) Why did wise men visit Jesus? d) How did they know who He was? 1. a) The wise men were from the East. b) The wise men said Jesus was the King of the Jews. c) The wise men visited Jesus so they could worship Him. d) They knew He was the King because they saw His star in the East.